Aubree Marchione and Nick Scott visited 5 time World Rock and Roll Acrobatics Champion, Martin Samuel, to learn some new lifts for their upcoming dance performances at USA Dance Nationals and the Sunshine Classic National Bodybuilding Championships. The Sunshine Classic takes place on March 17, 2012 in Palm Beach Gardens, FL, and USA Dance Nationals will take place on March 30, 2012 in Baltimore, MD. Check back soon to see the videos!!! Aubree Marchione presents Britney Spear's NEW Twister Dance!! Check out Aubree Marchione at the NYC International Toy Fair presenting Hasbro's and Britney Spear's new dance game, Twister Dance! Twister Dance will be available in the fall of 2012! 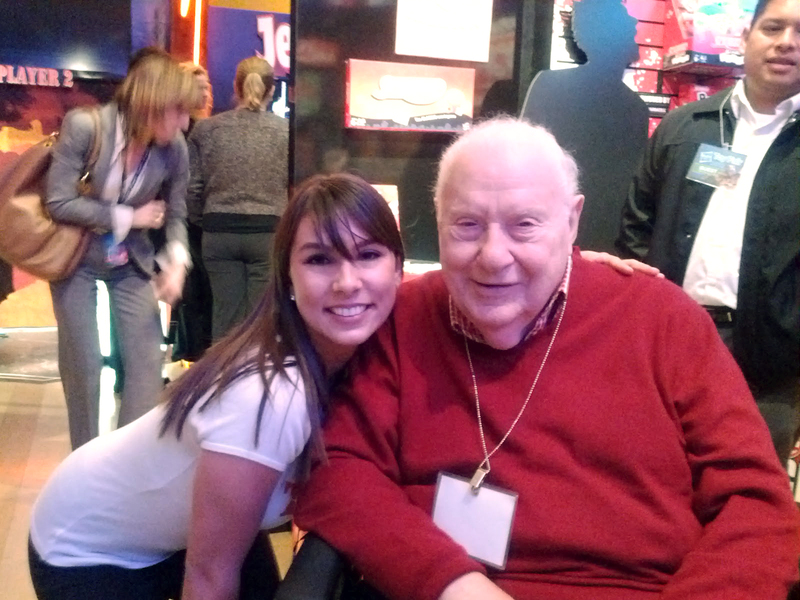 Aubree Marchione with the inventor of The Game of Life, Reuben Klamer.